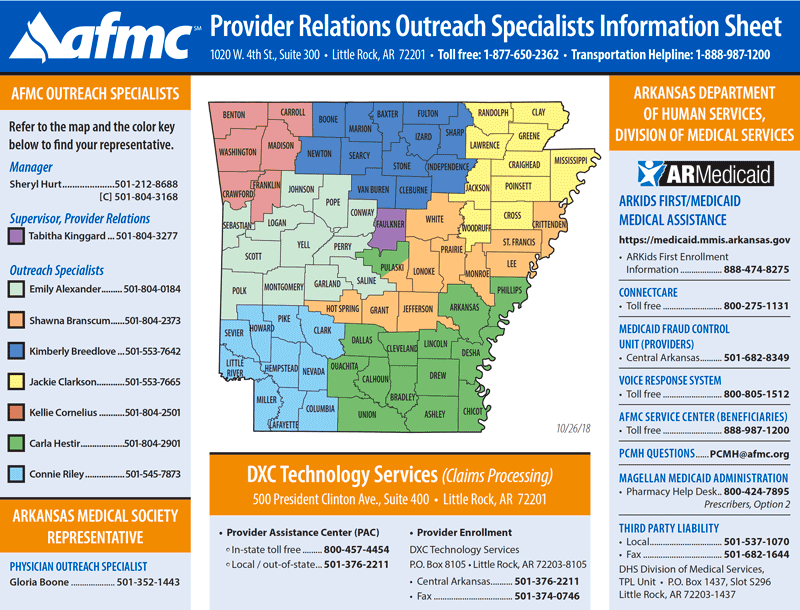 AFMC’s policy and education outreach specialists serve as the link between health care providers and Arkansas Medicaid. We help providers navigate the Medicaid system and stay up-to-date on policy and procedures. During the visits, our outreach specialists offer feedback and educational tools as needed to help providers implement quality utilization and improvement. See our map below to find an outreach specialist in your area. PCMH News — What’s Due? PCMH News – What’s Due? PCMH Deadlines – What’s Due? PCMH Deadlines — What’s Due?